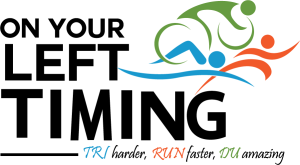 Transition opens at 0600 and is for Athletes Only! Transition Closes at 7:10 a.m for ALL Divisions. Once the race starts, no one can return to (enter) transition unless racing. This rule is for everyone's safety. All athletes will be given a wristband with your matching bib number at packet pickup to enter transition. No wristband, no entry, no exception. Therefore, if you are picking up your packet on race morning, you will not be allowed to enter transition until you have your packet and your wristband on. Please plan accordingly. Racers' Meeting - MANDATORY ATTENDANCE! 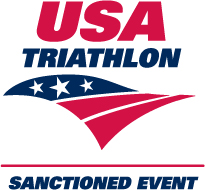 There will be a racers' meeting/information meeting on Saturday, March 28 at 0710 for all triathlon and duathlon divisions near the finish line. All awards will be available for pick up at the awards table beginning at 10:30 a.m.
Age group categories are in 5-year increments (except for the 13-19) 20-24, 25-29, etc. as high as needed for both women and men. Awards will be presented 3 deep in each age category. Overall awards will be given to the top 3 women and men. Relay team awards will be given to First, Second and Third Place teams. Please do not ask to pick up your award before 10:30 a.m.